Two lunch box classics unite to form a #JustDelicious hot dog that tastes even better than it looks! Preheat a pan over moderate heat. Slice the rolls open and spread with butter. Add cheese to each roll and season with salt and pepper. Place the rolls open side down on the hot pan and fry until the cheese has melted. Remove from the pan and set aside. Add olive oil to the pan and fry the Viennas until they’re thoroughly heated. Top the rolls with spring onions, rocket and gherkins and then add the viennas. 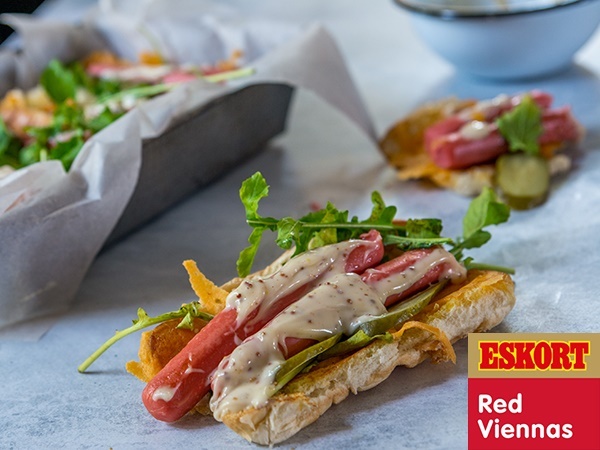 Combine the mayonnaise, mustard and maple syrup in a small mixing bowl and drizzle the sauce over each hot dog. Tightly wrap the hot dogs in wax paper before placing in the lunch box to keep the filling and sauce secured in the bun until lunch time.